Home Lifestyle	How would you rock Havaianas? 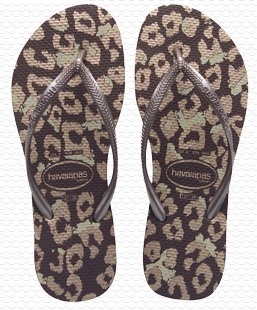 How would you rock Havaianas? I have a thing for flip flops. I am not quite the person who wears them year round now that I live in North Carolina. But having been born and raised in Florida, flip flops are the next best thing to bare feet. My dad even had a joke about whether he should wear his “regular flops” or his “dress flops” when he would get ready to leave the house. And yes he really had two categories. So flip-flops will always have a special place in my heart – and on my feet. This year I finally tried a pair of Havaianas and they are so unbelievably comfortable, I can’t believe it took me so long to try them. It’s true, not all sandals are equal. I recently purchased an outfit very similar to the one pictured below and I can already tell that this will be one of my summer staples this year. My apologies to those who know me in real life because you are going to be seeing a lot of this combo! Of course I happen to think these sandals can be dressed up or down. I would be perfectly comfortable wearing the above outfit to a matinee or dinner. And they are still my number 1 choice for the pool! Havaianas come in just about every color possible too. And they even have prints! Check out a couple of my favorite styles. And don’t forget about the dads and the kids! There is truly something for everyone. Check out these adorable Disney sandals for kids or the fun animal themed pair with a heel strap for babies! Dads can also choose from many different options here. A big thanks to Havaianas for sponsoring this post. All opinions are my own. Thanks for reading! Those are really cute. I need to try them, too. I have a pair of those animal ones you posted, and I love them. 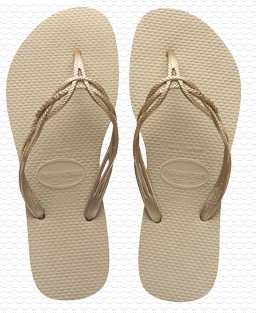 I grew up in Brazil, where Havaianas is originally from, and I can’t remember a person who didn’t own a pair. Back in my kid years, they cost US$3. Talk about some price raising! But they’re totally worth it.